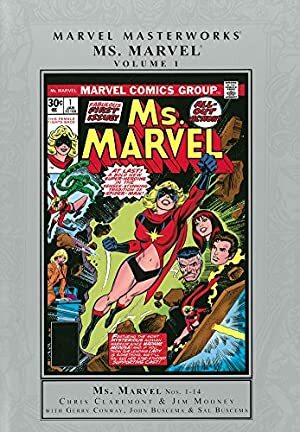 Destructor was an early foe of Ms. Marvel (Carol Danvers), back in 1977. 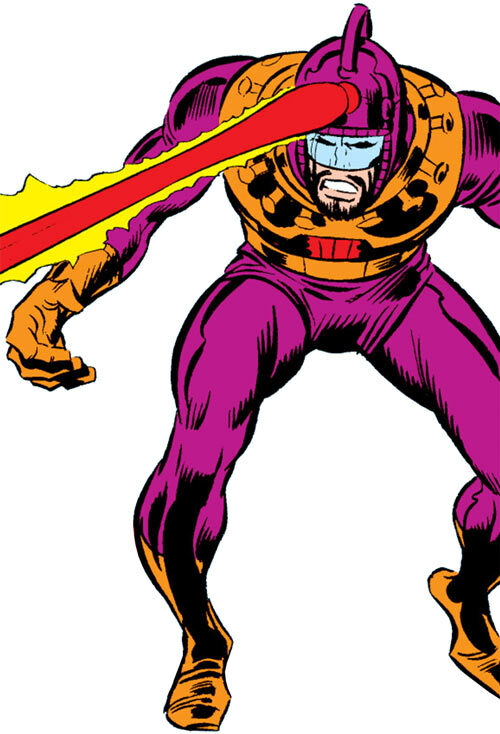 If you need a standard later Silver Age /early Bronze Age baddie in purple for a story, you could do worse than pick Destructor. This entry only covers Korman – not the Doomsday Man. The Doomsday Man has a separate profile. Note: His first name was once spelled Kormin. Korman is a gifted technologist. He specialises in weapon systems (such as potent energy beam projectors) and traps. He has a keen deductive mind, and comes up with clever plans based on those deductions. Is armoured, which allows him to survive superhuman blows. Could withstand tremendous levels of radiation. Has an unspecified array of sensors. Includes an energy cannon within the helmet. According to Ms. Marvel, it was powerful enough to damage even a Kree battleship. Weapons designer Kerwin Korman spent years providing advanced weaponry and other gadgets. He worked in his own lab, and his customers included the likes of Hydra. It is possible that he also worked for the US government. For instance he super-robot built by Professor Kronton’s Project: Doomsday Man was armed with tachyon blast cannons. These weapons are apparently one of Korman’s signature technologies, with the tachyon cannons he kept for his own use being more advanced than the Doomsday Man’s. 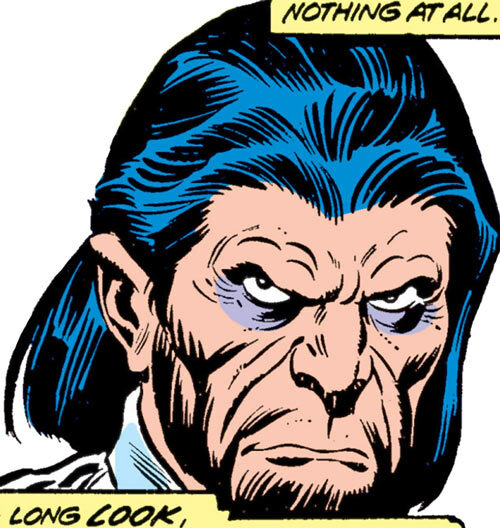 Tiring of his career, Korman instead became a supervillain. As he pivoted, he sold his covert Lab in Brooklyn to the Scorpion (Mac Gargan). Gargan wanted to use the large acid bath therein to kill publisher J. Jonah Jameson. The Scorpion hoped that the extensive array of traps protecting the lab would foil any would-be rescuer, such as Spider-Man. Unfortunately for the Scorpion, it was Ms. Marvel who responded. She rescued the publisher and defeated the Scorpion. Meanwhile, Korman still had access to the on-site cameras and sensors. He thus gained ample intelligence about Ms. Marvel’s powers. Notably, X-ray shots revealed some sort of circuitry within her costume. Now calling himself the Destructor, Korman approached his former competitors at AIM, showing them the data. He offered to defeat Ms. Marvel and analyse her costume’s systems. AIM took the deal. But they insisted that Korman take her alive, even though the Destructor told them that they were underestimating her power. Unbeknownst to AIM, Korman had even more more intelligence about Ms. Marvel. He had traced her first appearance to Cape Canaveral . He even found the cave where the Psyche-Magnitron had been. 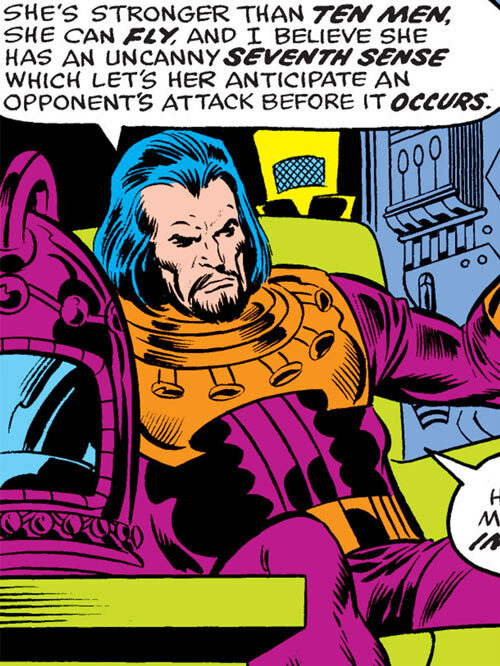 Korman also determined that Captain Mar-Vell and Yon Rogg were space aliens. However, he wrongly assumed that Ms. Marvel knew about the cave where the Psyche-Magnitron had been. He thus thought that he needed to take her down before he could safely study the machinery. (The Psyche-Magnitron, the discrepancy about Ms. Marvel having been active at Cape Canaveral, Mar-Vell’s role, etc. are all discussed in our mighty mighty Carol Danvers character profiles). Tthe Destructor confronted Ms. Marvel as she was again fighting the Scorpion. Knowing how powerful she was, Korman shot her in the back without warning. He managed to blast her a second time with his tachyon cannon, but Ms. Marvel knocked him out before collapsing. Both fighters recovered – but thanks to her 7th sense, Ms. Marvel avoided a new blast. Seeing this, the inexperienced Korman ran out of drive. Danvers took him down using a high-pressure jet from a wrecked fire hydrant. An AIM commando immediately came after Korman so he wouldn’t talk. They distracted Ms. Marvel by forcing her to save children from a collapsing wall. AIM wanted to make an example of Korman pour encourager les autres . And perhaps out of bad blood due to their history of competition. They used their Psycho-Conditioner to destroy his will. Ironically, the device had originally been built by Korman. Perhaps because he knew how the Psycho-Conditioner worked, Korman wasn’t completely debilitated. He escaped, recovered his Destructor costume, then returned to the Psyche-Magnitron cavern. His plan was to arm himself with Kree weapons, then take his revenge upon AIM and Ms. Marvel. But Ms. Marvel was already there, fighting the Doomsday Man. The addled Korman discreetly rummaged through the wreckage. He found a box and foolishly opened it. Exposed to the unearthly radiance of the Psyche-Magnitron’s power core, he was deprived of all his senses and driven mad. Blindly firing his energy beam as he screamed and thrashed about, the Destructor wrecked much of the cavern. He collapsed it upon himself and the husk of the Doomsday Man, which Ms. Marvel has just succeeded in immobilising. 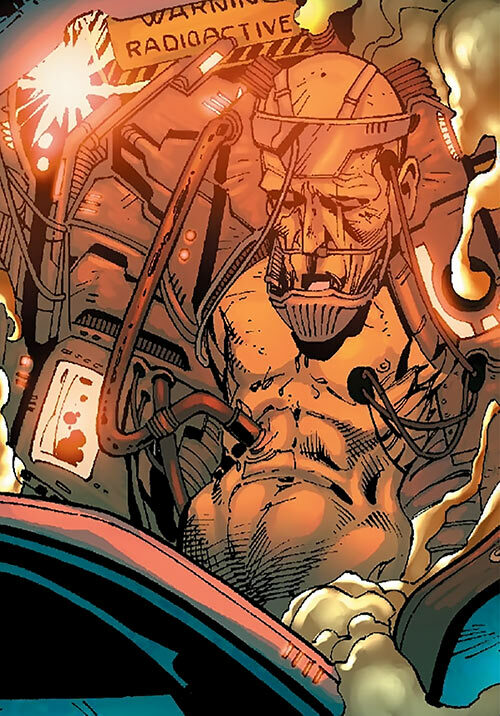 The mix of powerful Psyche-Magnitron radiation, Korman’s body and the Doomsday Man technology would eventually produce a strange result – a new form for the Doomsday Man. But Korman still existed, and returned as an autonomous entity on two occasions. Korman having been exposed to Psyche-Magnitron radiation, he now had a level of Kree genetics. These were used by the Doomsday Man to power itself. Korman’s brain was also used to greatly extend the robot’s computational power. All this time, Korman was but an immobile prisoner in the Doomsday Man’s torso. And over decades his body decayed, weakening the Doomsday Man. In 1999, the Doosmday Man kidnapped Carol Danvers (now going by Warbird). 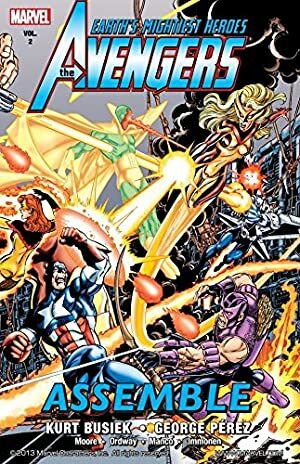 Danvers and several Avengers (Iron Man (Tony Stark), Giant-Man (Henry Pym), the Wasp (Janet van Dyne) and Justice (Vance Astro)) vanquished the powerful robot. They tore its torso open to expose Korman, so he could receive medical care. Korman was hospitalised, with physicians looking for ways to separate him from the Doomsday Man. However, A.I.M.’s interest in the robot had been revived by this incident. They kidnapped Korman/Doomsday Man for study. However, this merged organism was so advanced that they couldn’t duplicate it. They just kept Korman plugged in, and the Doomsday Man again ended up in storage. In 2007, a double agent within AIM discreetly allowed Korman to take over the Doomsday Man. Seething with hatred, he ravaged the AIM base and turned most personnel into Targoth zombies. Ms. Marvel and Araña intervened, but Korman badly injured the youth. 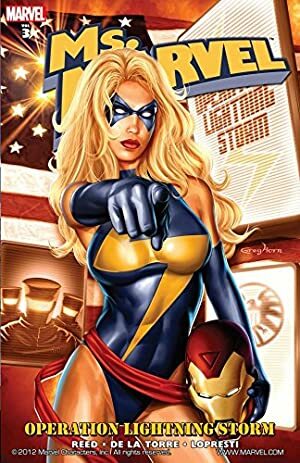 Enraged, Ms. Marvel ripped open the “cockpit” and tore Korman out. This was apparently Korman’s plan all along, as he hoped that it would kill him. However, prompt hospitalisation saved his life. A smart, cautious, analytical guy. On the other hand, he wished his life were richer in excitement, wealth and power. After escaping from AIM he seemed intellectually very diminished and confused. He apparently recovered – but not wholly, and that took decades. Between 1999 and 2007, he hated the entire world (and particularly the Avengers, and especially Ms. Marvel) for not allowing him to die. He seemed to have gone insane, but one gets the impression that it wasn’t actually the case. He may just have pretended to be impossible to reason with to convince Ms. Marvel she had no other option but to kill him. Definitely a Supergirl villain. He would have allied with the Council instead of AIM, boasting that his tachyon blast could kill Supergirl. After the Council turned against him for his failure against the Maid of Steel, he mistakenly attempted to steal Kryptonian technology from Supergirl (who didn’t actually have such a technology cache in Chicago) but was accidentally fused with the robot Matrix Plus, a more powerful version of Matrix Prime. Credentials (AIM, Low), Expertise (Tachyon beams), Genius. DESTRUCTOR COSTUME [/BODY/ 08, Acuity: 05, Energy blast: 15, Sealed systems: 05]. Flying Platform/Disc [BODY 03, Flight: 06]. Korman can also buy and use most types of small scientific and engineering equipment he may need, such as radiation counters. Doors and walls had a BODY of 12. The entrance was protected by a heat-seeking laser projector right after the door – [BODY 04, Laser beam: 10, Sharpness (Laser beam): 02]. Avoiding the fast-reacting laser in a narrow corridor is very difficult, giving an AV of 10 to the projector and preventing the use of Acrobatics (Dodging). A metal door slides down to shut the corridor if the laser is bypassed ; it has a BODY of 16, though people beating the door’s Initiative (15) and with a movement speed of 6 APs or better can slip under it before it slams shut. Right after it is a trapdoor, ideally positioned to trap an intruder who just rushed under and past the metal door – avoiding falling into the pit under those circumstances is Beyond the Limit. What lies at the bottom is unrevealed. The back entrance is also protected, though less heavily so – one trapdoor (Difficult to avoid) and a corridor with two slower heat-seeking laser projectors [BODY 04, Laser beam: 10] who are considered to have an AV of 07 – the corridor is large enough to allow for Acrobatics (Dodging). After the Psycho-Conditioner, all of Korman’s Mental and Mystical Attributes seemed down to 02. He also had a Serious Irrational Attraction toward Power, acting spontaneous and incautious to have it. His Hero Points are down by half. – Enhanced Intellect 4 (Limited 2 to tachyon-beam related matters). – Enhanced Dexterity 4 (Limited 2 to tachyon-beam related matters). – Reinforced and armoured — Enhanced Stamina 6, Impervious Protection 2. – Protective visor — Protection 2, Enhanced Fortitude 2 (both Limited 2 to attacks against his eyes, including bright lights). – Radiation-proofed — Immunity 1 (Radiation). – Multitude of sensors and analyzers — Variable 1 (Limited 1 to scientific sensors of a general nature). – Helm-mounted tachyon beam — Ranged energy Damage 14. Close Attack 2, Defensive Roll 1, Ranged Attack 2. Assessment, Benefit 1 (Decent AIM security credentials). Athletics 2 (+2), Close combat (Unarmed) 1 (+5), Deception 1 (+2), Expertise (Physics and related sciences) 10 (+14), Insight 5 (+7), Perception 3 (+5), Persuasion 1 (+2), Ranged combat (High-tech lab prototypes) 2 (+5), Technology 8 (+12). Korman can easily procure scientific equipment, but this is bought off-the-shelf when specifically needed and not Equipment in game terms. Field work is hard Korman is not used to physical battle, and may get overwhelmed due to lack of experience. Ambition Korman wants excitement, wealth and power. This can easily lead to problems. Trade-off areas Attack/Effect PL 12, Dodge/Toughness PL 8, Parry/Toughness PL 8, Fort/Will PL 7. Points total 102. Abilities 24, Defences 11, Skills 17, Powers 4, Devices 46, Advantages 7. Equiv. PL 7. After he suffers from brain damage, Korman seems very diminished. Dropping his Intellect, Awareness and Presence to minus one, and giving him an addition Complication (impulsively and incautiously driven to power) might cover his sorry state. On the Uncapped Scale, his tachyon blast is Damage 15. No changes in PLs. Doors and walls had a Toughness of 12. The entrance was protected by a heat-seeking laser projector right after the door – [Ranged laser Damage 11]. Avoiding the fast-reacting laser in a narrow corridor is very difficult, giving an attack bonus of +16 to the projector and preventing the use of defensive manoeuvres (including Defensive Roll). A metal door slides down to shut the corridor if the laser is bypassed. It has a Toughness of 16 (18 on the Uncapped Scale), though people beating the door’s Initiative (+1) and with a movement speed of 5 Ranks or better can slip under it before it slams shut. Right after it is a trapdoor, ideally positioned to trap an intruder who just rushed under and past the metal door – avoiding falling into the pit under those circumstances is a DC 25 Acrobatics roll. What lies at the bottom is unrevealed. The back entrance is also protected, though less heavily so – one trapdoor (DC 12 Acrobatics roll, the Evasion Advantage gives a +5 to the roll) and a corridor with two slower heat-seeking laser projectors [Ranged laser Damage 9] with a +11 attack bonus. The corridor is large enough to allow for various evasive manoeuvres. Here I’m doing this little thing again with a Skill Descriptor Power making him a whiz with all sorts of applications at a very specific subject. I’m going straight at the Attribute level rather than making that Skills modifiers. Both because this is a clearer notation and because it catches more odd applications that might come up in a game. The latter is more comic-bookish, IMO. In DCH the suit gives him a blocky /BODY/ 08. Here I went *slightly* more detailed, since the Descriptor-based approach M&M system is better at it. Still, the blocky aspect is kept via enhanced Stamina, due to the impression that the suit probably had clever if minor protections against unusual attack forms. This is mostly based on seeing how he trapped his lab.